New Delhi : The first song from Aamir Khan's upcoming movie 'Secret Superstar' has been released by the makers. It has been titled as 'Main Kaun Hoon' and features 'Dangal' fame Zaira Wasim in a brand new avatar. Aamir Khan shared the song on Twitter and also posted a note that read, "Hey guys, presenting the first song of Secret Superstar… and along with that, one of the secret superstars of Secret Superstar… Meghna. Thank you Amit, thank you Kausar. Hope you like it. Love. A." Composed by Amit Trivedi and penned by Kausar Munir, the song has been sung by 16-year-old Meghna Mishra. 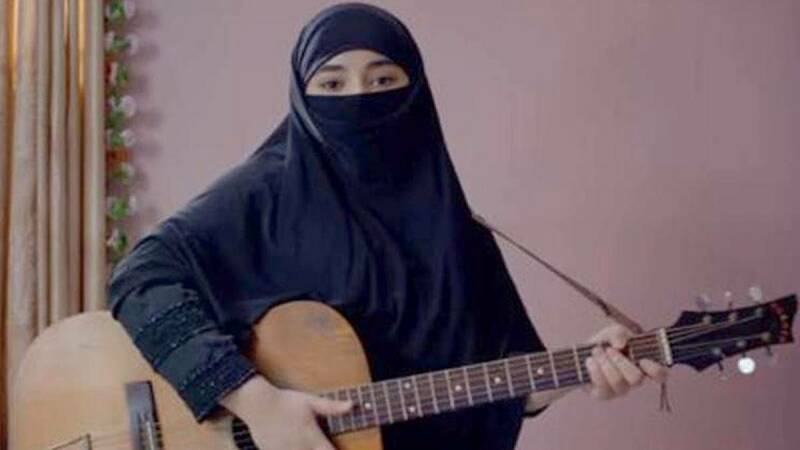 In the video, Wasim can be seen recording her first song while wearing a hijab to restrain from revealing her identity. Secret Superstar, that presents Aamir Khan in an extended cameo, has been scheduled to release in theatres on the Diwali weekend, clashing with Rajinikanth and Akshay Kumar starrer 2.0.